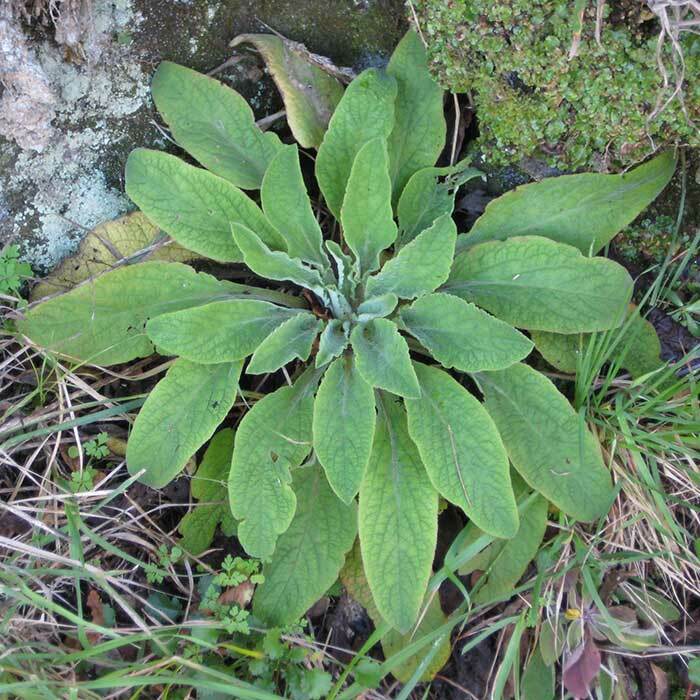 Rosette leaves are green, downy, finely wrinkled on the upper surface, grey and woolly underneath. Leaves are oval or lance-shaped, up to 25 cm long by 12 cm across, with bluntly-toothed margins. Rosette leaves have stalks but leaves on the flowering stem are stalkless or almost so. Always common on pastures newly cleared from bush but rarely persists as pastures thicken and are improved. In most cases the plant dies after its seed has been shed, but under favourable conditions plants can sometimes survive for another year or two after flowering. 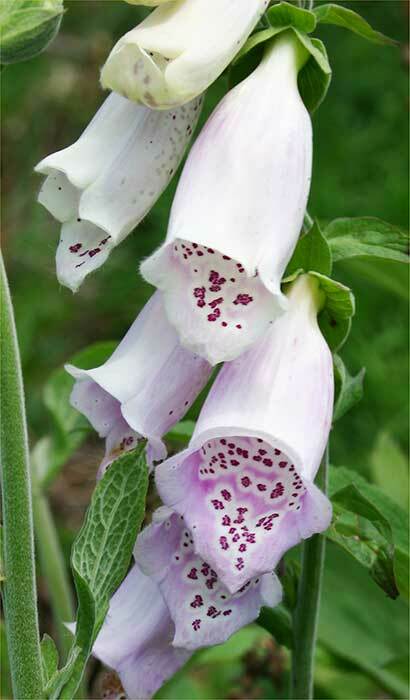 Both this species and the related species Digitalis lutea have attractive flowers and are sometimes cultivated as garden plants. Listed among the National Poisons Centre’s top ten poisonous plants; consistently involved in unintentional childhood poisonings. 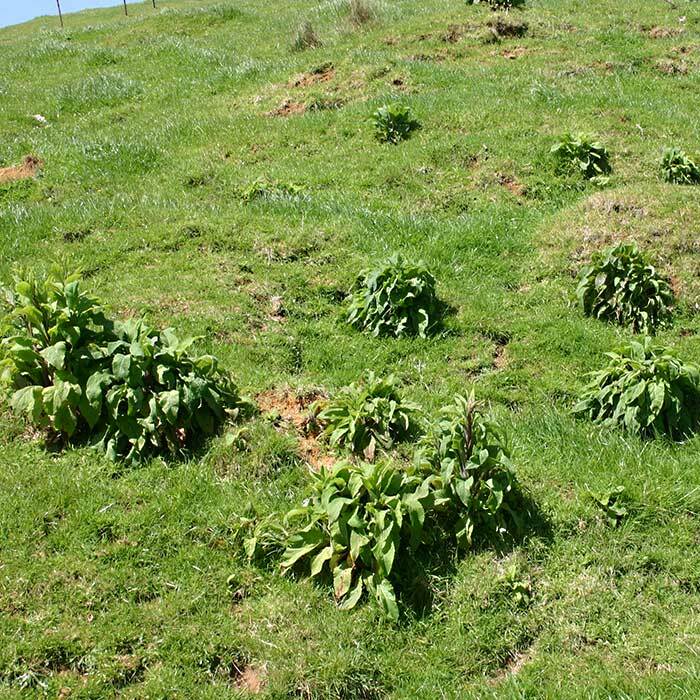 Dense infestations of foxgloves, sometimes seen in new pastures sown following bush clearance, take up space that would be better occupied by desirable pasture species. 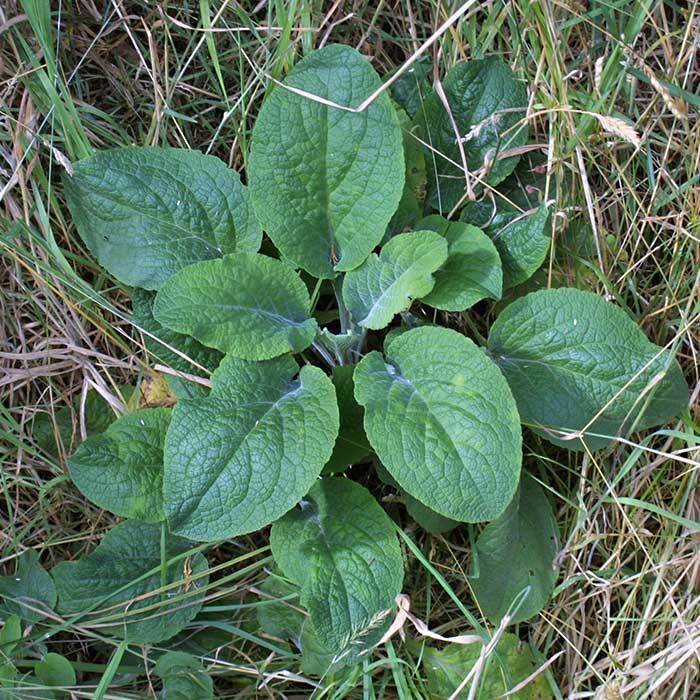 Fortunately foxglove foliage is quite unpalatable to livestock, so the main effect from infestations is a reduction in pasture productivity due to the replacement of more valuable forage species. 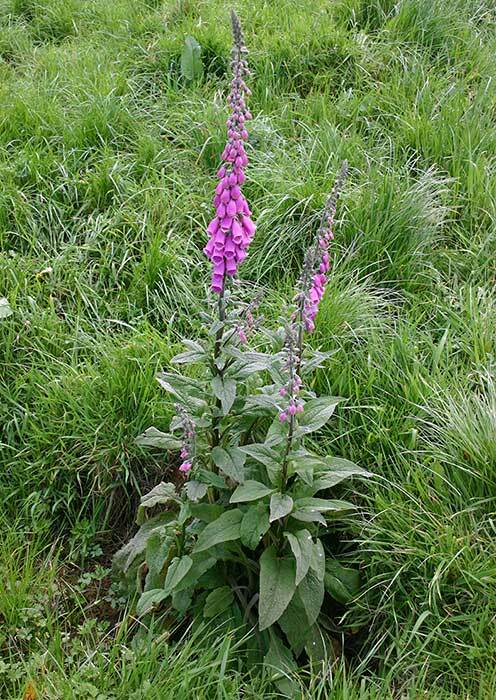 Sowing of pasture species appropriate to the local environment, using suitable fertilisers and careful use of grazing management to strengthen the new pastures will all help to hasten the decline of foxgloves. 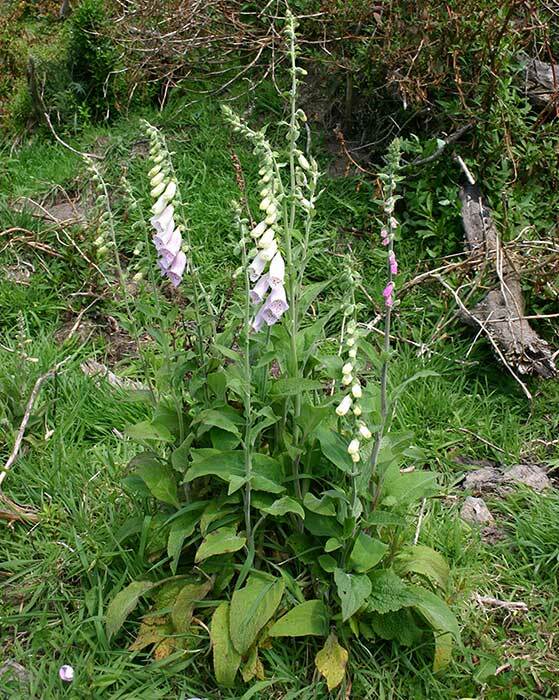 A combination of aminopyralid and triclopyr will control foxglove, but is also damaging to clovers, therefore, it is better used as a spot treatment.